As if! As nostalgia for the 90s continues to be fetishised, it seems nothing is sacred, not even one of the decade’s defining films. We should’ve seen it coming really, after all, we are in an age of film remakes and reboots, with many great original ideas going straight to streaming services instead. 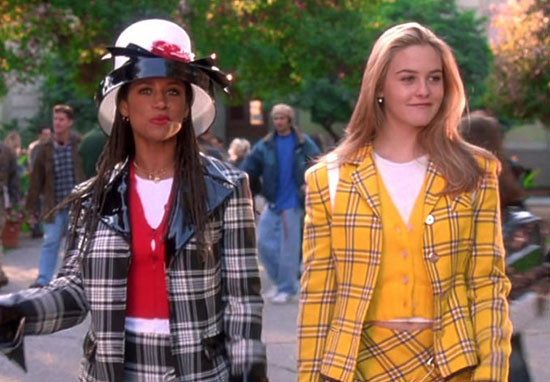 Nevertheless, news of a Clueless remake is both exciting and unnerving – the original 1995 movie is, though kitsch, an iconic film. Loosely based on Jane Austen’s 1815 novel Emma, it follows the lives of a handful of overly wealthy and overly clueless high schoolers in Beverley Hills. It’s reported that Clueless is set for a revamp from the writer of Glow, Marquita Robinson, with the writer of Girls Trip, Tracy Oliver, in the producer’s chair, according to Deadline. The new project is still in early development, so it’s unclear at the moment whether it’s an updated story for a new generation, or if older characters will be reprising their roles. Fingers crossed Paul Rudd makes an appearance at least. It would certainly be interesting to see how Cher and Dionne fair in the new climate of social media! The original film made stars out of its young cast, with Alicia Silverstone, Stacey Dash, Breckin Meyer, Paul Rudd, Donald Faison and the late Brittany Murphy all going on to have successful careers afterwards. Of course, it’s not the first attempt at capitalising on Clueless’ success. Shortly after the film, a TV series was launched on ABC for one season, before moving to Paramount’s UPN network for two more. There’ve also been recent reports of a Clueless musical making its debut on Off Broadway, with Dove Cameron, from the Disney Channel’s Liv and Maddie, playing Cher. The musical apparently uses reimagined 90s hit songs, with choreography by Tony Award nominee, Kelly Devine.